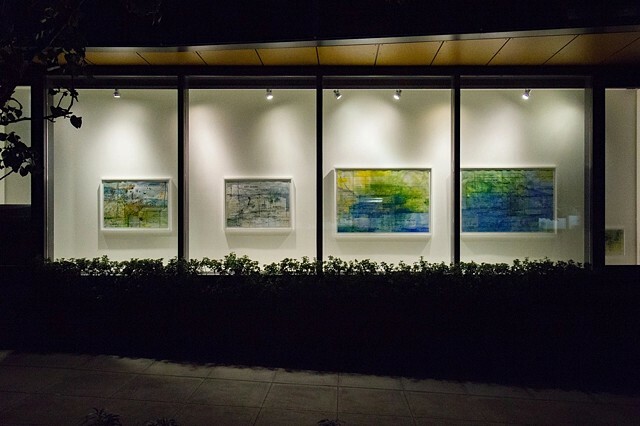 My Storefront installation was composed of five paintings. I used the image of scaffolding and abstract structures to inspire reflection about the rapid development, geological terrain, and displaced people of that neighborhood. My exhibit faced out to the street - so it was accessible to everyone who walked by.